This statistic represents the average price (including taxes) of new passenger cars in Europe in 2013 and 2017, broken down by brand. In both years, the brands with the highest average price across Europe in 2015 were Mercedes-Benz and BMW. These were followed by Volvo and Audi. 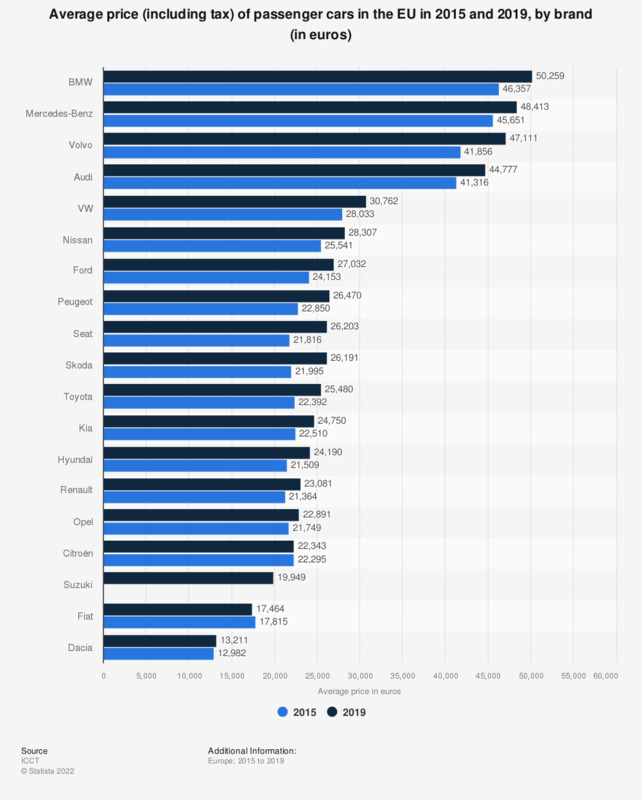 The prices for all the car brands displayed in this statistic rose from 2013 to 2017. * Including Switzerland and Norway. Everything On "Car purchasing experience in Europe" in One Document: Edited and Divided into Handy Chapters. Including Detailed References. Statistics on "Car purchasing experience in Europe"
What would drive you to buy an electric vehicle (EV) for your next car purchase?